You’d expect a guy who’s started five multi-million dollar businesses from scratch to know a thing about marketing that works. And then, of course, he’d write the book on it. In this case, the guy is Jay Baer, and the book is Youtility, a guide so useful for effective marketing it’s becoming a franchise unto itself. In his spare time, Jay is a highly sought-after keynote speaker, podcaster, angel investor, new media personality, and restless entrepreneur who can’t help but add just one more project to his portfolio. 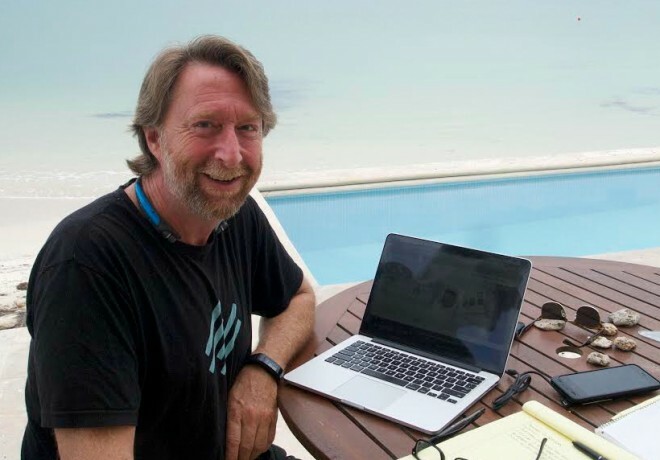 I asked Jay to be the first in a series of Rainmaker.FM interviews that illuminate the path of content marketing into the future. You’ll notice some common themes that turn up time and again among those who have already successfully built audiences, and Mr. Baer sets the stage perfectly. 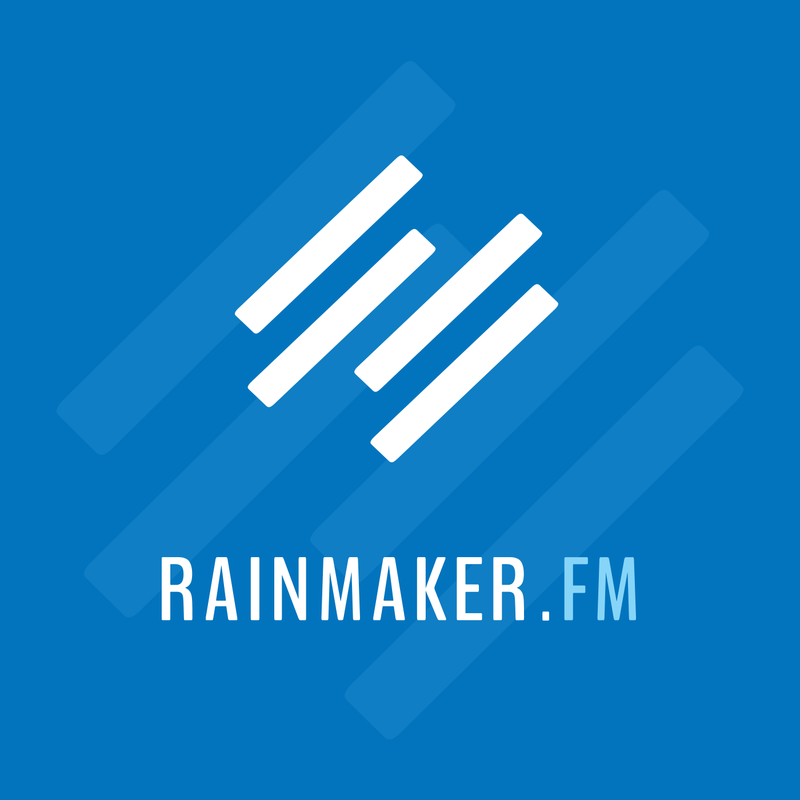 *Rainmaker.FM is brought to you by the Rainmaker Platform, the complete website solution for content marketers and Internet entrepreneurs. 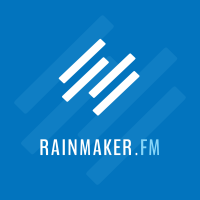 Rainmaker.FM is brought to you by the Rainmaker Platform, the complete website solution for content marketers and online entrepreneurs. 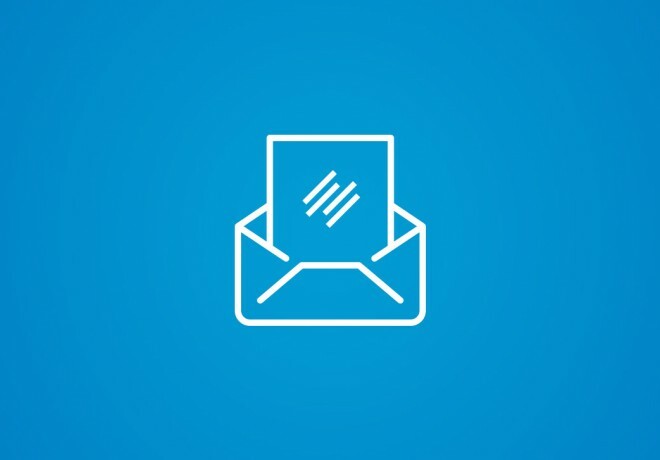 Find out more and take a free 14-day test drive at RainmakerPlatform.com. Brian Clark: Hey everyone, Brian Clark here with another episode of Rainmaker FM. Today we’re breaking our normal programming just a bit to bring in a very special guest. We’re going to have more guests periodically, but this is a guy and a friend that I really thought should be the first one. So Jay Baer, you know him most likely as the bestselling author of Youtility, which if you have not read is one of those few bibles of content marketing. And as someone who has been doing this a while, I feel like my opinion on that has some credence. Definitely pick it up and take a look if you haven’t read it. If you have read it, you know and are familiar with Mr. Jay Baer. I’m going to ask Jay to bring us up to speed on his path to best-selling author and content marketing celebrity in his own right. But in general, Jay has managed five marketing service firms, which is amazing. And in the process of that he has worked with over 700 brands, 30 in the Fortune 500. That’s kind of ridiculous. I want to find out and I know his shop is growing, I know they’re doing interesting things but it is better to hear it from him than me. Jay, how are you? Jay Baer: Hello my friend. Thanks very much for having me. Greetings to everybody out there at Rainmaker FM Nation. Brian Clark: Very nice. So as I warned you, I’d love for you to give us more details. So you were born and you’re here today, please fill in the gap. Jay Baer: I feel like what Chris Brogan said a few years ago, “It took me ten years to become an overnight sensation.” I started in online in 1994 so pre-browser, pre-Yahoo, and way pre-Google. I was originally in political consulting. I ran political campaigns. I went from there to corporate marketing and from there I had a brief, and I mean brief, a foray working for the Government as a spokesperson for the Arizona Department of Juvenile Corrections. So I walked in the next morning and quit, and found myself the Vice President of Marketing for an internet company without ever having been on the internet. That is an interesting place to find yourself. So that company ended up getting pretty large and we sold it to MindSpring and I started another company and another company and another company and another company. And here we are at Convince & Convert, which I started in 2008 to provide true strategic consulting services. We’re not an agency, but many of our clients are agencies in fact. We work with medium sized and large global brands to help them with content marketing strategy and social media strategy, governance, metrics, competitive analysis, and things like that. We probably operate more like an analyst firm or like a McKinsey & Co., than we do like an agency. That’s because we don’t get involved in tactical work. Befitting the Rainmaker audience, the company is purely virtual. We have staff members all over the United States. We only have one company meeting per year and we have four phone calls per year, period. Everything else though, is with Teamwork, which is like Basecamp but I prefer it and Skype. And that’s how it rolls. Brian Clark: Interesting. How many people do you have now? Brian Clark: Ten, okay. I did not know you were virtual, or as we like to say geographically agnostic. Jay Baer: Absolutely. We’re in all time zones and it works out pretty well. The other thing that many people don’t know about Convince & Convert, is that all of our team members with the exception of myself, also have their own consultancies on the side. So everybody who works with us spends half to two-thirds of their time with Convince & Convert and the balance of their time working on their own clients. Everybody is a 1099 in our company and sort of has that motivation and mentality and skillset to be a sole proprietor. I really look for those kind people when I bring folks on the team because it takes a special kind of person to say, “Hey, go work on a social media strategy for some of the biggest companies in the world. You’re never going to see that company. You’re never going to meet that company, and you’re never going to have a meeting with your team. It’s going to be all on the phone.” Not everybody can do that and so we’re pretty careful about who we bring into the fold. Brian Clark: That’s interesting because that was my exact sworn plan when I started Copyblogger. There would be no partners and there would be no employees after coming out of my last three businesses, which almost killed me. Now we have 42 employees and 4 partners. I think whatever you have to do is, you look at what the goal is and what needs to get done to get you there? I think you’re familiar with the story. I didn’t even have a product or service much less some grand goal of creating X, Y, or Z, you kind of roll with it. Brian Clark: Anyway, thank you for that summary. Jay Baer: I’ll add that there’s no doubt that it gets harder to maintain that thesis as you get bigger. At some point it starts to change the dynamics when you get more people. In fact, just 31 days ago we added a Director of Operations to the team. We did that because we got to the point where we needed somebody in that role because it just gets too loosey-goosey. Brian Clark: I would recommend to anyone starting out, to start that way. Even if you do go with a partnership to some degree, hiring people is capital intensive. I think Joe Pulizzi over at Content Marketing World, with this fantastic conference, has only got one or two actual employees. It’s like he’s a force of his own. Jay Baer: Absolutely. It can be really effective, but the corollary to that is you absolutely have to have the right people. One of the challenges with that kind of business is that even though we’ll be on the Inc. List next year, we’re growing fast. And having that sort of setup does prevent you from growing even faster because you’ve got to be really, really careful about whom you add to the team. You can’t babysit. It’s impossible to babysit them. Brian Clark: Again, we have employees but it takes a special type of employee to be trusted to sit in front of a screen and not look at cat photos all day and to actually do the work. I feel blessed that we have this team. Every day I think about what if I had to get to a hundred employees next year. Everyone has come from the audience. It has been beneficial and I feel lucky and I do think about that. So, your first book was The Now Revolution with our friend Amber Naslund. What year was that? Jay Baer: It was 2011. Brian Clark: Okay. And then Youtility came two years or one year after that? Jay Baer: Two years after that, so it was last summer. Brian Clark: That book has really had some influence. I remember when I saw you do your keynote at Content Marketing World, the first time I heard you talk about Youtility and I was like, “That’s damn good.” And the book didn’t disappoint. So Youtility has become in its own way its own “buzzword” I guess, to represent what we’re trying to accomplish with content marketing. Where are we going from here? What’s beyond Youtility? Jay Baer: First, I don’t think we have conquered Youtility. You and me and the people that listen to the show and the people who consume the content that you and your team create are at the very vanguard of this line of thinking. As you know, we do a lot of big corporate consulting and I do a lot of bringing the Youtility message to major corporations. In those organizations, this concept of help rather than hype is by no means something that has been embraced. In some cases they’ve got their toe in the water a little bit. But we’ve got a long way to get Youtility and that thinking sort of embedded in the culture of organizations across the board. It really is a cultural imperative more so than a content marketing imperative. Certainly the manifestation of it and the tactical execution of it could be classified as content marketing, but you have to believe in the power of giving away value. Most companies simply do not because they haven’t had to historically. They could just advertise their way out of it. I think we’ve got a long way to go to reach sort of peak Youtility if you will. The Decline of Online Reading? What I think is really interesting coming down the road is how the Youtility execution layer is changing really, really quickly. A lot of the things we talk about in the book even a year ago were blogging and mobile apps and things like that. Now, you see such a tremendous rise of multimedia content and short form video in particular. So whether it is Vine, Instagram Video, short videos on YouTube, short videos posted natively to Facebook, and podcasting of course. As a four-time author now, it kind of breaks my heart, but Johnny don’t read. Right? Johnny don’t want to read anymore. Brian Clark: I’ve been saying that since 2007 when we launched a training program as our first product called Teaching Sells. The arguments I had to make are, “No, people will buy content,” which no one wanted to believe in 2007. It’s hard to believe that now with the rise of eLearning and online courses and all that. Brian Clark: The other thing was people don’t read. You do because you’re my audience and we’re readers. Right? 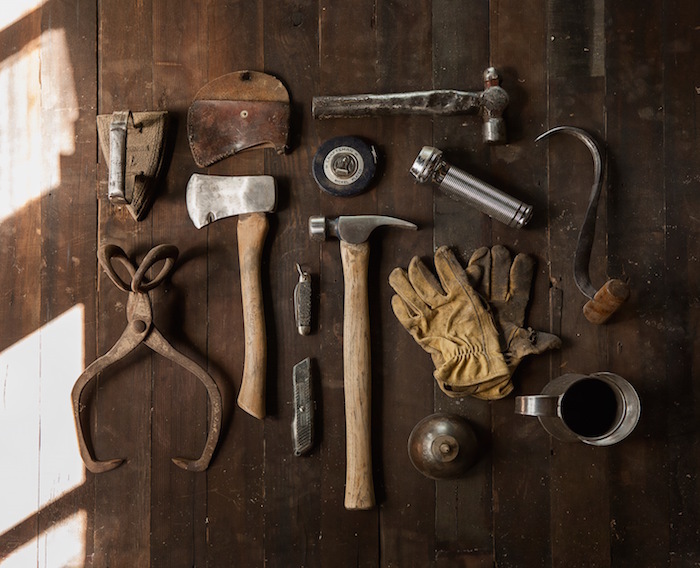 Brian Clark: That’s why Copyblogger has been so text heavy throughout time, but I think you’re noticing that we’re branching out more into audio and video. Jay Baer: You have to. Brian Clark: There’s only so many people that are readers, but you can’t leave them behind. I do want to talk a couple other Youtility focused books, and you do work with some gigantic organizations. These are for the people that are little closer to my heart. You’ve got one for accountants and you’ve got one for realtors, which these are the professional services’ small business engines of our economy. Jay Baer: Absolutely. Youtility applies as a concept to every business. I really believe that. Brian Clark: I do too. Jay Baer: Big, small, B2B, B2C, government, all that. In order to actually do it, I think it is sometimes easier for people to see themselves in the stories even more than they might in the regular book. I essentially stole a play from the chicken soup playbook as well as the e-myth playbook and said, “Geez, we could tell stories in a vertical.” So Youtility for Accountants came out in March and has done really well within that community. That’s certainly a type of professional service provider that typically has not embraced that type of marketing at all. Just two weeks ago we released Youtility for Real Estate, which has been on and off the number one Kindle book for real estate on Amazon for the last couple weeks since we released it. I think it is actually the best thing I’ve ever written. I think it is better than the Youtility hardcover. That’s because I’ve had another year to year and a half to think through the principles and organize my thoughts better. There are so many realtors out there and they all do the exact same thing. There’s very little differentiation between any of them in terms of how they go about building their business. And so Youtility is a recipe for doing it in a different way and it has been really successful. We’ve had great coauthors on both of those projects. Darren Root, a friend of mine who is a very popular famous thought leader in the accounting space and Erica Campbell Byrum is the head of digital marketing for Homes.com and for Rent.com. She coauthored the Youtility for Real Estate book. It’s nice to have those vertical subject matter experts alongside to help me find case studies and to add a little industry gravitas to the proceedings. Those books are virtual only, which has been an interesting dynamic to not have a physical book. They’re just $2.99 in Kindle iPlay, Google Play, iTunes, and all that. It’s less than three bucks, which is remarkable. We look at it more as a marketing exercise for the real book than it is necessarily going to make at $2.99. Brian Clark: Interesting. This is something I’ve seen and I think influenced me early on because being generous, giving things away, and giving value away to make money some other way is the basis of my entire career. I would never argue with the utility of generosity. You see that in your very best real estate agents and you see that in your very best accountants. Brian Clark: I remember my first accountant was that kind of guy. And still, you have people who are trying to squeeze every dollar out or are kind of ruthless. Is it easier at the professional services or small business level? I ask because generosity is a personality trait and the enterprise can’t culturally assimilate that. Jay Baer: I think that’s some of it, but I think some it, Brian, is that at that small business level, you’re closer to the customer. You can see the outcomes of Youtility faster and you can see them more clearly. So the feedback loop of, “Hey, I did this and I have both anecdotal and actual evidence of success” generates more enthusiasm for the concept and it creates a snowball effect. The problem with Youtility in corporations (and I say this as somebody who consults with corporations on doing Youtility) is that even if you’re great at it, like Charmin is one of the examples we use in the Youtility book. Columbia Sportswear is another one and Hilton Hotels is a classic Youtility case study that I talk about all the time. Those companies are terrific at Youtility, but the Youtility programs that they’ve adopted is such a tiny, tiny, tiny, tiny piece of their overall marketing ecosystem that it is almost impossible to point to that and say, “This is the lift that that created,” other than anecdotes. And anecdotes work great in small business. I think small business decision-making, especially on the marketing side, is almost always powered by anecdotes rightly or wrongly. On the corporate side, on the enterprise side, anecdotes don’t count, so it’s a different circumstance. That’s why I think small businesses are really well established and set up to put Youtility into practice because they can see it work right in front of their face. Brian Clark: Certainly you’re an angel investor and advisor to a lot of startups that have internalized this as a launch strategy effectively. Jay Baer: Buffer for example. I was one of the first investors with those guys, and those guys have really figured it out. Brian Clark: Buffer is a great example. Okay so you and I have been chatting about a lot of stuff this Fall working on various things, but I think the exchange that led to this podcast was me marveling at how well done Jay Today is. Jay Today is what, three minutes? I love your tagline and of course you’ve got to tell them what it is, but I think you’re a natural both spoken and in front of the camera as well. I can generally rattle off whatever, but I get a little self-conscious with a camera in my face. If you would, please tell people a little bit about Jay Today and why you’re doing it and how it’s going. Jay Baer: Well, we were just talking a moment ago that people don’t read. We’ve got to find a way to create other forms of content. I’ve had a podcast for a long time called Social Pros that you’ve been kind enough to be on that focuses on interviewing big companies, social media managers and thought leaders like yourself. That’s great, but that show is not about me. It is intentionally about the guest. At the same time, like you, I blog less than ever. Right? I used to write all the blog posts on Convince & Convert once upon a time. Brian Clark: It happens for some reason, why is that? Jay Baer: Yeah, our editorial calendar three years ago was with maybe four blog posts a week, and I wrote all of them. Now we do eight blog posts a week and I write one of them. But the traffic keeps going up. That’s because I’m not like Mitch Joel where I just say, “Hey, I’ve got an idea. I’m going to sit down and write a whole blog post about it today.” Our editorial calendar is done pretty far in advance. Brian Clark: Yeah. Ours too. Jay Baer: Yours is as well. Brian Clark: It’s like a magazine. Brian Clark: It’s not really a blog anymore. Brian Clark: I love it. Jay Baer: It is three videos a week. We publish them Tuesdays, Thursdays, and Fridays. They are three minute videos, just about whatever. It could be like what’s going on in social media, in business, in life, and just sort of observations. My friends at Candidio were a terrific video editing company up in Indianapolis where you just upload your video and then they take care of it. They put the titles on it, they clean it up, they export it to YouTube, and the whole thing. So they are a sponsor and they are great guys and we’ve generated a ton of business for them because people watch the show and are like, “I want a video like that too.” So that’s worked out great. And Sprout Social is a sponsor as well and they’ve been terrific partners on that project also. One of the things that I think you’ll appreciate and certainly the Rainmaker folks will appreciate is what we’re doing with those videos. The original plan was give me a platform to talk about what’s on my mind and create more video content. Okay, easy enough. What we’ve decided to do is to really make that, because I do it so frequently, kind of the content atomization engine. So every time I record the video, and I just do it on my iPhone with an external microphone. Brian Clark: Which is amazing because it looks really good. It is a testament to how far the iPhone has come. Jay Baer: Right? And the 6 is definitely better than the 5s in that regard in the reverse facing camera. I have a tripod, which is big because it keeps it steady. So we take the videos, they go on YouTube, and they go on our website on a distinct domain name jaytoday.tv, which is powered by Vidyard. Then we have it on a video podcast and we also have the audio version as an audio podcast both on iTunes. Jay Baer: Then we take it, we transcribe them, and we make them a written blog post on Convince & Convert. We take the transcription, tweak it, and make it a LinkedIn blog post. We take the transcription, tweak it again, and put it on Medium. Then we take the videos and post them directly to Facebook. So every three-minute video becomes seven distinct content executions. Brian Clark: Nice. That’s a beautiful segue into what I’d like to talk about next, but I think I see a theme emerging here. We’re both writers. I would take it that you probably prefer to read than consume audio or video, or is that not the case? Jay Baer: I do. In fact, I’ve got a funny story about that. So my son is a big sports fan as I am. Every morning when he gets up and gets ready for school, he is not allowed to watch TV, but he has his iPad Mini and he is always on ESPN or NHL.com. That’s pretty much what he does while he is eating cereal or whatever and I do the same thing. I start my day with a little sports news and this happens with shocking regularity. I’ll look over and he is on his counter stool and I’m on my counter stool and we’re on the same page of ESPN. Right? But if you’re familiar with the way their site works, they almost always have the video at the top and then the text at the bottom. Jay Baer: Constantly I look over and he is watching the video with his headphones on and I am reading the text of the same. That happens all the time. Brian Clark: That sounds like me. Jay Baer: All the time. It’s crazy. Brian Clark: If that video auto-rolls, it’s off and I’m down to the text. I’m glad they do provide the text for people like me. I’ll watch television and film to a certain degree and enjoy it immensely. But as far as watching YouTube videos or listening to a very long podcast, it is very difficult for me. I’m a reader and yet, I don’t make the mistake of thinking other people are like me. Brian Clark: And the early Copyblogger was essentially a blog about writing and it was delivered in written form. But as you say, you’re going to limit yourself in the universe of content if you only stick with text regardless of Google’s continued predilection for it, which can be solved with transcripts. And you’re essentially talking about doing something once and creating seven unique manifestations of it. Brian Clark: This year, we have become very bullish on starting with audio, getting that transcript, making SlideShares, making webinars, and making articles. You can crank out more than seven if you really put your mind to it. Brian Clark: Generally, you want to see what worked and what resonated and focus on that. Don’t repurpose everything because we all strike out from time to time, most often more often than not. You know? Brian Clark: So where are you on podcasting right now? I think I know, but we’ll let you get to that. Our downloads of that show are up a hundred and something percent year over year. At the same time, you see lots of other people in the digital marketing community, the content marketing community creating more and more podcasts, which is I think good. I think a rising tide lifts all boats at some level. Then you see research from people like Tom Webster at Edison that shows that podcast consumption has increased 25% in this country year over year to the point that 15% of Americans have listened to a podcast in the last 30 days. And you may think, “Well geez, 15% isn’t that much.” Well yeah, except that 18% of America is on Twitter and nobody is saying that that doesn’t have a future. Jay Baer: So 15% of anything when you’re talking about a country this large is a lot of people. Right? It’s a lot of people. And what the data shows is that people who are into podcasts are really into podcasts. They listen to three, four, five, six, seven, or even eight shows a month. Increasingly, when we get to this “Hey, there’s no more scheduled content” in terms of “Hey, here’s when this television program is on,” etcetera and you already see that now with binge watching on Netflix and Amazon, podcasting is going to be the audio and spoken version of that. Think about a universe five years down the road where blogging fades away because nobody wants to read and everybody accesses the internet through wearables, which is a screen which is not big enough to read on. Jay Baer: And consequently, the way you educate yourself, the way you become a better marketer, a better business person is instead of using Feedly to create your customized information newspaper, it is using something like Stitcher to create your customized audio newspaper. Then, you just listen to your education. I think that’s where we’re headed, which is why I wanted to sort of get on top of that and build a search engine to help people find shows like them. Brian Clark: I want to talk to you about that specifically, but you mentioned the time shifted aspect. I was an early adopter of satellite radio because at the time I had a business that had me in the car a lot. Brian Clark: The fact that I could listen to 80s alternative on the original XM was just amazing to me. But now certain programming is like, “Tune in at X o’clock.” And I’m like “Are you kidding me?” That’s not going to happen. Jay Baer: They’ve completely gone back on what they originally were intended to be. Brian Clark: Right, okay. So as you mentioned, MarketingPodcasts.com, is that the URL? Jay Baer: That is the site. It is as we record this nine days old or something. Now you mentioned something about the future of content consumption that tells me you’re playing a long game here. I’ll let you talk about it. Jay Baer: Yeah. It’s a very long game with MarketingPodcasts.com and the site is free. It’s really the first ever search engine for marketing podcasts. Brian Clark: Marketing and management, right? Jay Baer: It is marketing or management and unless you’re in the first page, it’s a hot mess. It’s ridiculous. It is impossible. Then I talked to our developers and their WordPress ninjas at Marketing Press, who are great guys. They built the current version of Convince & Convert and JayBaer.com, which are riding on top of many of your products. Jay Baer: The Genesis Framework of course. Jay Baer: Yes, Synthesis hosting and Genesis. Brian Clark: I always forget you’re a customer. Jay Baer: Of course I am. Brian Clark: You don’t cause me any trouble. Jay Baer: I just pay my bill and keep my head down, buddy. Brian Clark: That’s how we like it. No. Hopefully we’re not causing you trouble to give us trouble. Jay Baer: You’ll be the first person I call. So we spent quite a bit of development time and quite a bit of development dollars to figure it out. We essentially do some very sophisticated mining of the iTunes API to create a feed of podcasts to rank order them in a bunch of different ways. You can sort by total episodes, you can sort by what we call audience approval rating, which is our gymnastics algorithmically to rank order shows. We have a staff of reviewers now that are reviewing podcasts every week. You can obviously search by categories so if you want content marketing podcasts versus SEO podcasts versus advertising podcasts, you can do that. It’s fully responsive. The whole thing works great and the feedback has been tremendous, and I’m really excited about it. The reality is now that it’s out and I’m super excited about it and the feedback has been great and people love it, I really have no idea what to do with it. Right? That’s because it’s not part of what I do day-to-day. It doesn’t neatly support other things that we do, although Marketing Podcast is “sponsored by” my podcast so hopefully we’ll get some more listeners to my show. Brian Clark: There is a purpose. You can always find one. Jay Baer: There’s always a purpose. Here’s the thing, it has gone so well and now that we know how to do it, now that we know how to do the technology, there is certainly an opportunity. Maybe we should build ComedyPodcast.com and TVpodcast.com and SciencePodcast.com and build out a whole network of these. Then it becomes a pretty interesting. Brian Clark: I’m currently doing Who Is on those domains. Jay Baer: A domain search, yes. It becomes a pretty interesting sponsorship opportunity for a bigger company at a bigger level at that point. The other thing is I was talking to John Wall at Marketing Over Coffee, which is a great show. He’s a great podcaster and the other day he said, “One of the problems with podcasting is that there is no way other than through your own efforts to get more attention on your show.” You can’t buy an ad on iTunes and you can’t buy an ad on Stitcher. There’s no marketplace for attention within the podcasting community, which is puzzling. Jay Baer: There’s no Outbrain for podcasts, for example. We’ve thought about building an ad network to sell sponsorships, to aggregate everybody’s podcast audience and to sell sponsorships to big companies and be the middle guy on that. We’re really good at sponsorship packaging and sales at Convince & Convert, so that’s an option. We’ve also thought about the next version of MarketingPodcasts.com sort of being like a Google search engine results page. That would be where it’s like here’s the shows that organically rank and then these guys have paid us to be at the top of the search results. Brian Clark: That’s interesting. I’m going to be watching that because I think you actually do. This is something I face all the time and often keeps me from doing projects like that at all. That’s because I know that to truly make the best of the opportunity or I wouldn’t be thinking about it in the first place will take some serious work. Unless you have the team to handle that, you tend to launch it. If it does well you’re like, “Wow, I could really make some money from that if I did this, this, or this, but I’ve got this business over here.” It’s challenging. Brian Clark: I think that’s a smart thing, moving in to the verticals. Jay Today, check that out. And MarketingPodcasts.com, I will certainly be keeping an eye on it and hoping Rainmaker shows up somewhere. Jay Baer: It is on the list. Brian Clark: Of course I looked. Jay Baer: Of course you should. 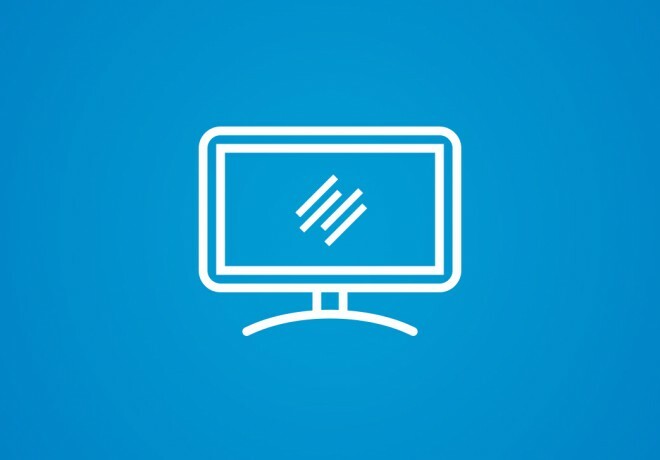 Brian Clark: We’re just now getting a consistent schedule of broadcasting and actually upping our frequency because it’s fun and it works and there is a huge ravenous audience out there for it. Jay Baer: Here’s a tip, if you’re listening to the show and you like what Brian is doing with Rainmaker.FM, as soon as this episode is over, go to iTunes and leave a review. Please don’t just leave a rating, but leave a review. Make sure you put a five star score on that. That will certainly help the show not only get into the MarketingPodcast.com database, but rank quite well in the database. We have over 450 podcasts right now in the site. Brian Clark: Excellent. As always, the check is in the mail. Thanks for the review plug. Jay, thanks a lot for joining us. I hope you have a wonderful holiday season. Brian Clark: Thank you very much. Bye-bye.